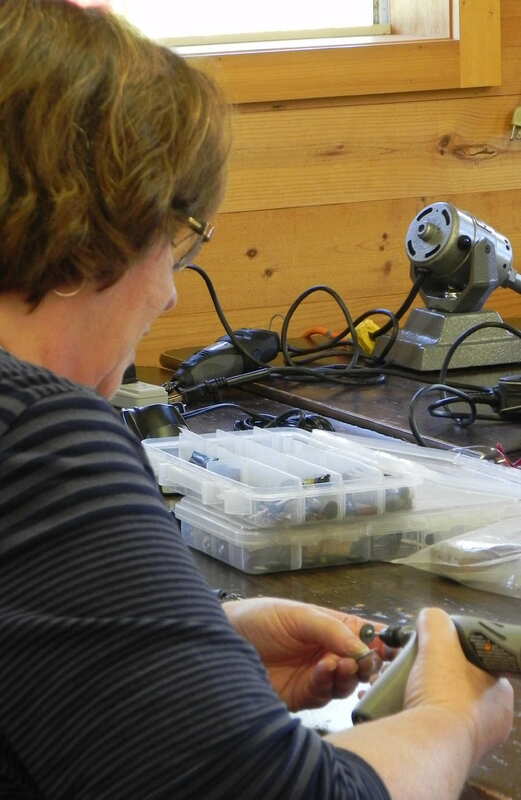 After a few days break over the Labor Day weekend, we are back to school! 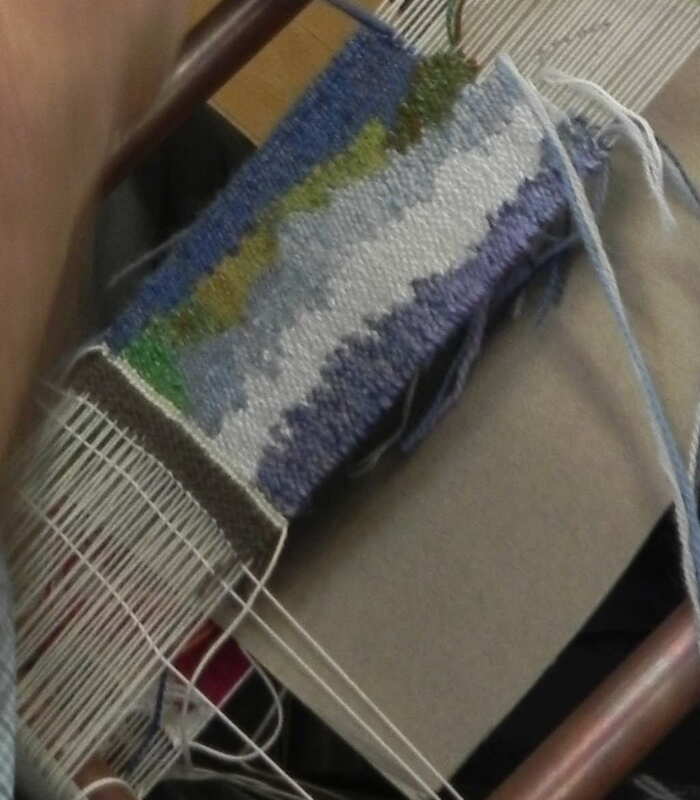 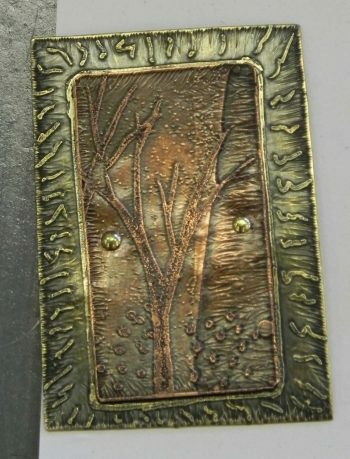 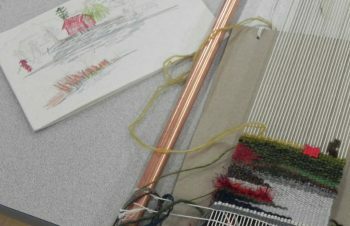 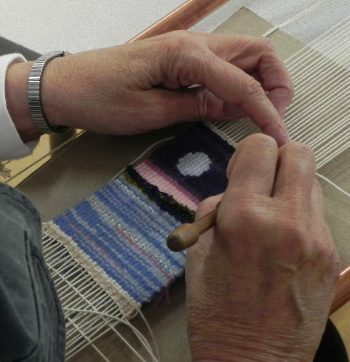 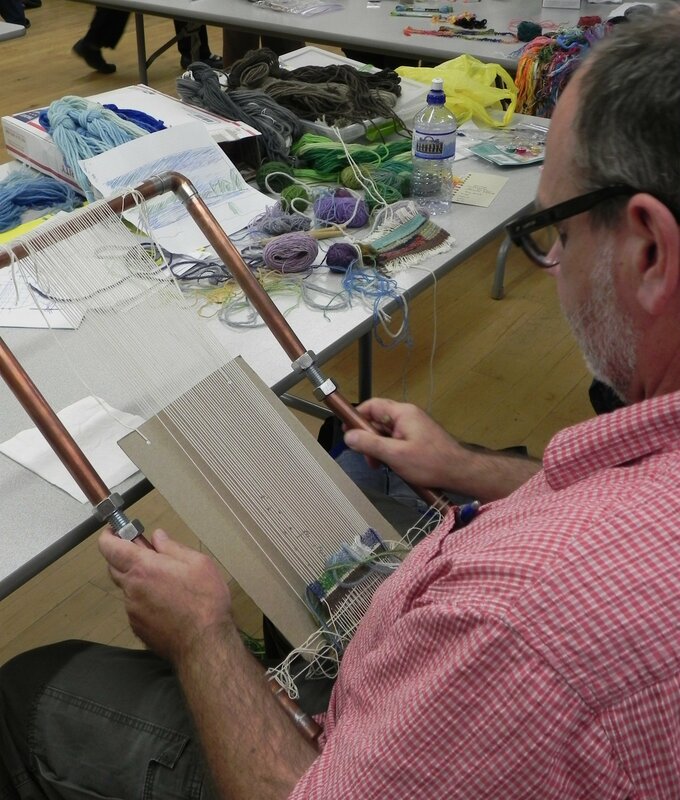 First with Kay Rashka’s Metalwork Jewelry Boot Camp and then Ruth Manning’s Landscape Tapestry Weaving class. 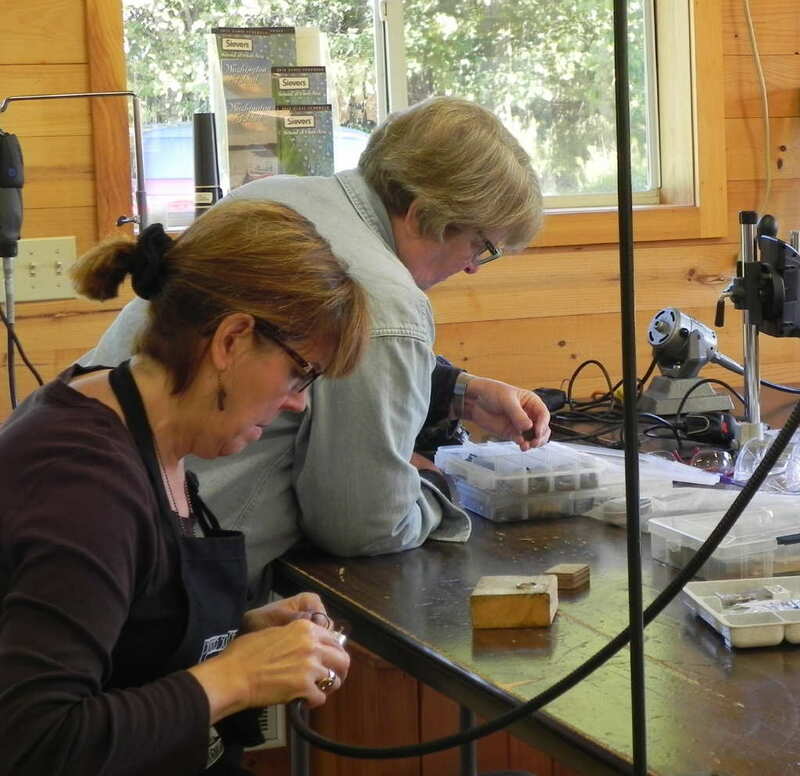 This was Kay’s second time teaching at Sievers and we welcomed Ruth for her first class here. 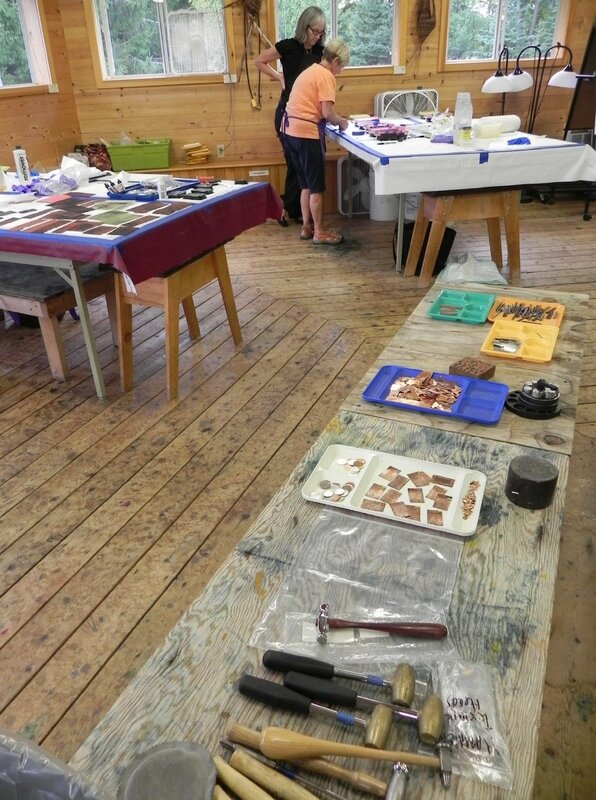 What a wonderful way to find ourselves back in the studios with these talented instructors. 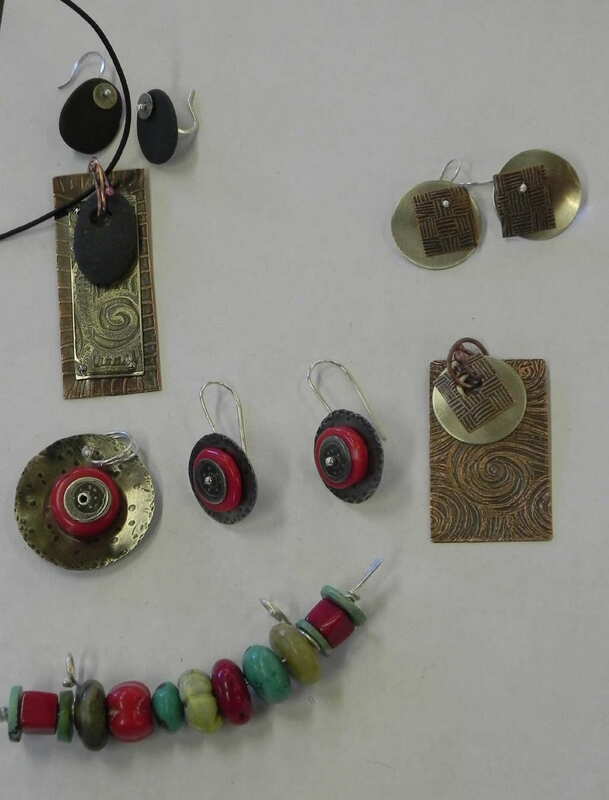 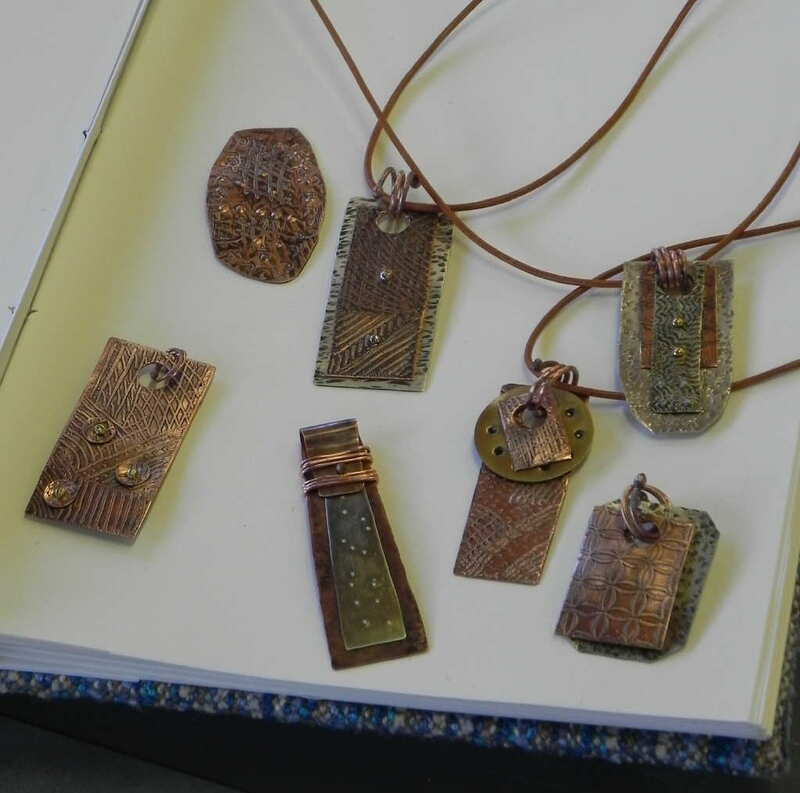 The equipment and tools used in the jewelry class were in busy hands for Kay’s four-day class and those busy hands paid off in so many beautiful pieces. 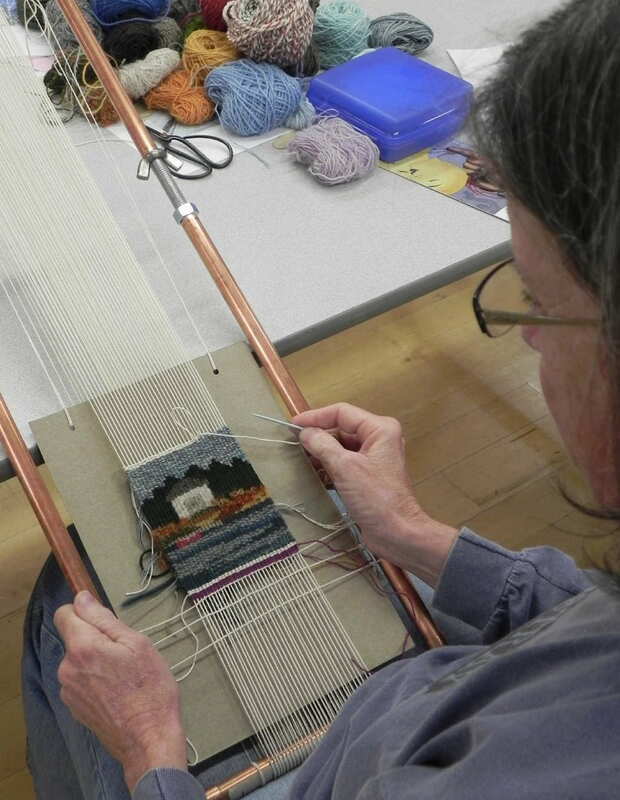 The Landscape Tapestry Weaving class took a field trip to Jackson Harbor to sketch and then returned to the studio. 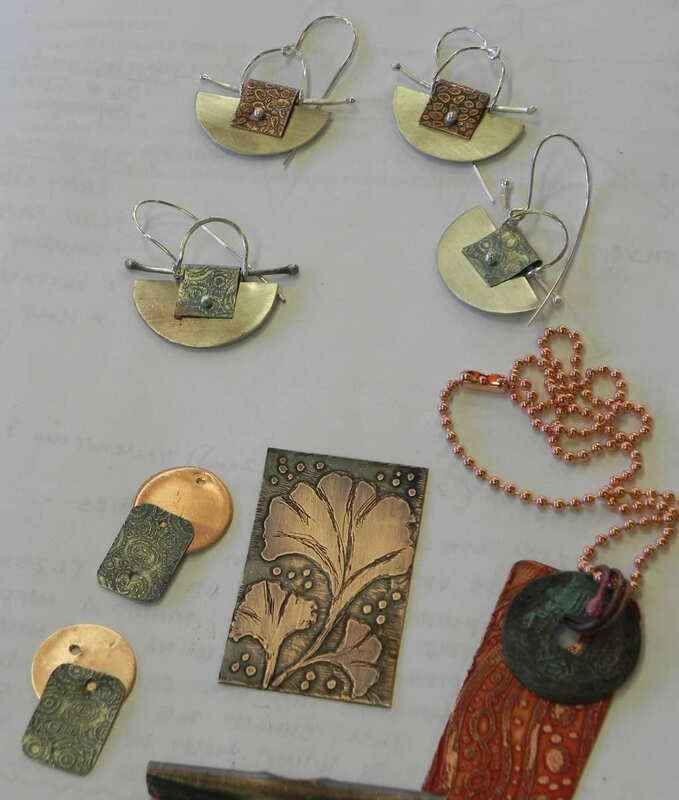 Ruth’s own pieces provided so much inspiration. 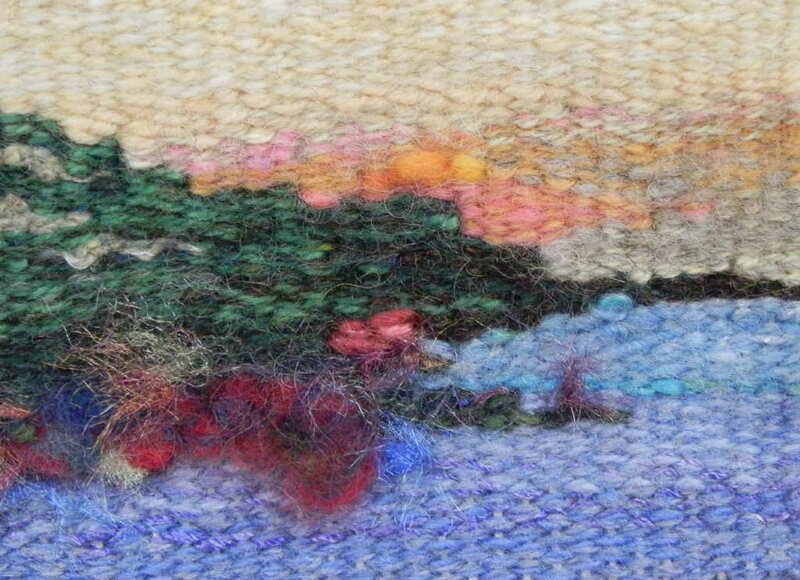 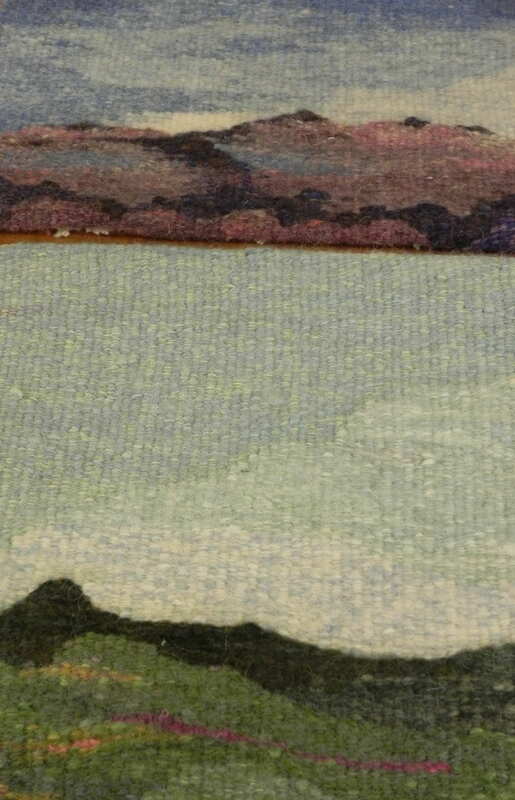 Unique textural yarns created wonderful effects in these fiber landscapes. 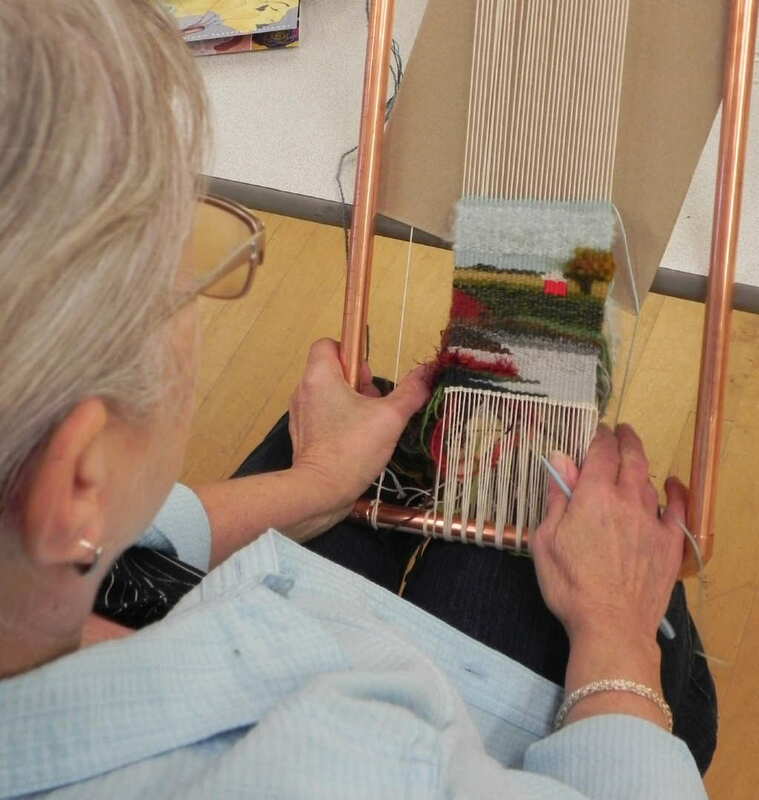 The next subjects taught will be Twill Basketry with Jeanette Biederman and Terrific Towels with Connie Westbrook. 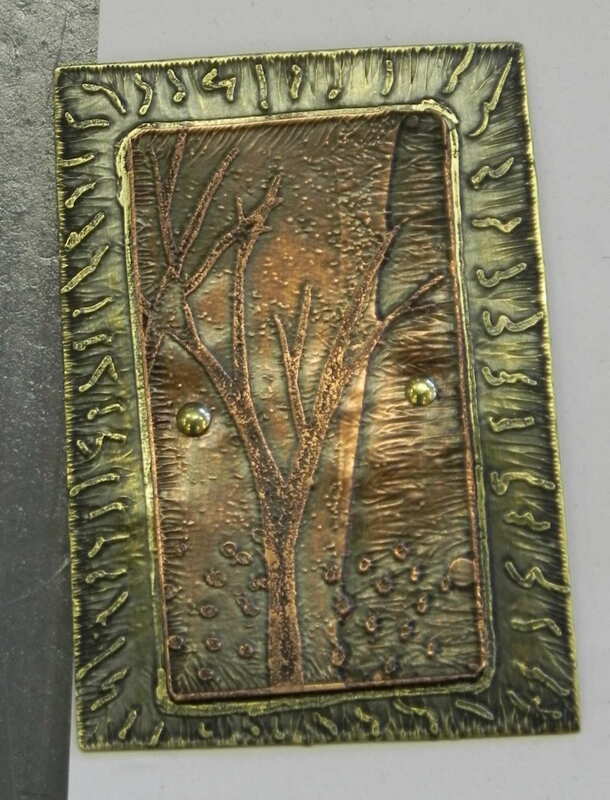 Ring the bell!